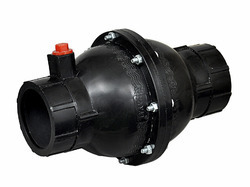 Our range of products include pp non return valve and non return valve. 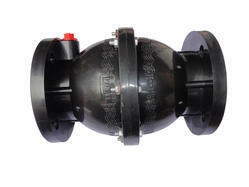 Our firm specializes in offering an excellent range of PP Non Return Valve. Our provided valve is that normally allows fluid to flow through it in only one direction. The offered valve is the two-port valve, meaning it has two openings in the body, one for fluid to enter and the other for fluid to leave. Our firm is counted among the reliable enterprises offering varied Non-Return Valve. The offered range is precision-engineered and tested on various parameters in order to ensure their durability, smooth functioning, and leakage proof performance. Our entire range of products is widely appreciated by their remarkable features like better performance, easy-to-fit and light weight.